Hong Kong is famous for being the place with the highest numbers of skyscrapers in the world, but 70% of the total area is countryside and mountains. 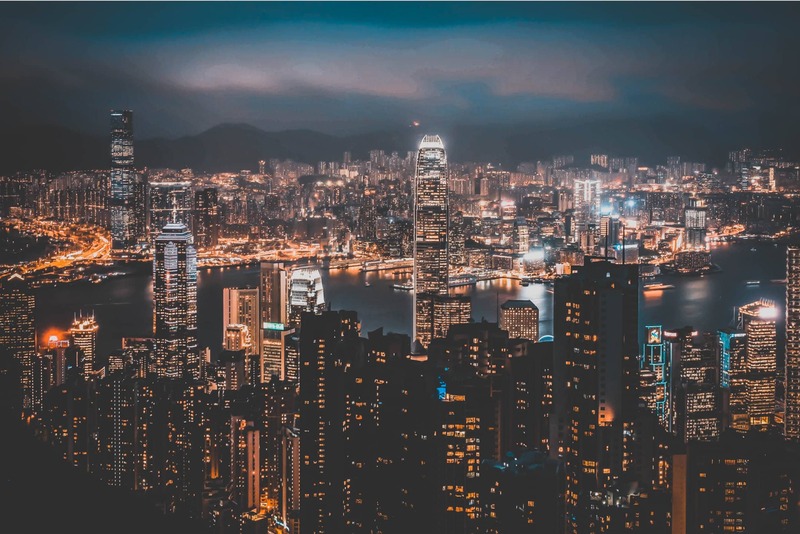 After more than 100 years being the center of the British colonial power in Asia, in 1997 Hong Kong was given back to China and became HKSAR (Special Administrative Region), one country and two systems. The official languages are Cantonese and English. If you manage to find yourself in Hong Kong for just 24 hours and want to get the most out of your time: keep reading! 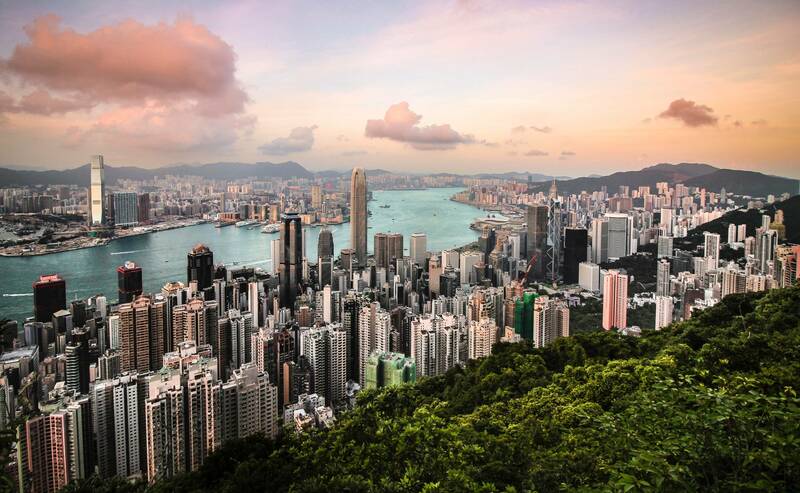 With a population of over 7 million people, you won’t have any trouble finding a flight to Hong Kong. Here’s an overview with airlines that fly non-stop to and from the main hubs. Use the StaffTraveler app to find the perfect flight for you. If you’re planning to fly with Cathay Pacific, Hong Kong’s main carrier, Josh from Cleared List wrote a guide on how to non-rev with Cathay. You generally don’t need a visa to visit Hong Kong. Depending on where you’re from, you are permitted visa-free entry for periods ranging from 7 to 180 days. Visitors from the US and Europe can stay for 90 days without visa. All visitors must hold a passport valid for more than 1 month. Once you arrive at the airport, if you don’t want to take a taxi, you can choose the Airport Express train or a public bus. Airport Express tickets and Octopus Cards can be purchased at the Airport Express Customer Service Desks which are located in area A and area B of the Arrival Hall at Terminal 1, immediately after Customs, on the Airport Express departure platform in Terminal 1 and can also be purchased at MTR Ticket and Octopus Selling Machines at Airport Station. The Airport Express In Town Check-In Service counters are open from 05-30am to 00-30am. A cheaper alternative to the Airport Express, Hong Kong’s airport is well served by the public bus system. Routes A11 and A21 connect the airport to Hong Kong Island. You can pay by cash or Octopus card. 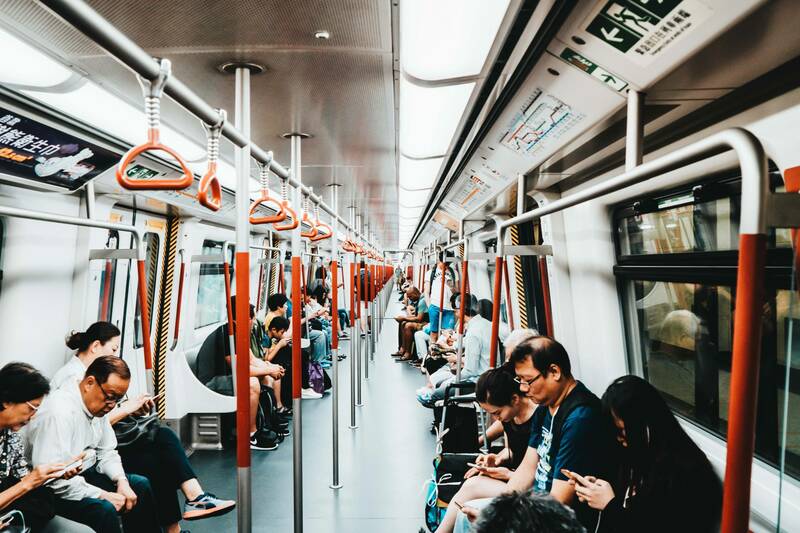 My advice is to buy the Airport Express round ticket, you can take advantage of the free In-Town Check-In service at Hong Kong Station and Kowloon Station, where you can check your luggage in from 24 hours and 90 minutes before flight departure and have your boarding pass with you. Most airlines allow you to do so, depends also on your destination, so you better check the link below. Hong Kong is very well connected, the MTR will take you everywhere, so it’s better to buy for HK$65 (US$8) the adult tourist day pass, meaning you can use this card for 24 consecutive hours, you can find it in any subway station customer services. You will need to show your passport. Once in Central, drop your bags in the hotel and get ready for a long journey! It’s better to wear comfortable shoes to explore Hong Kong. 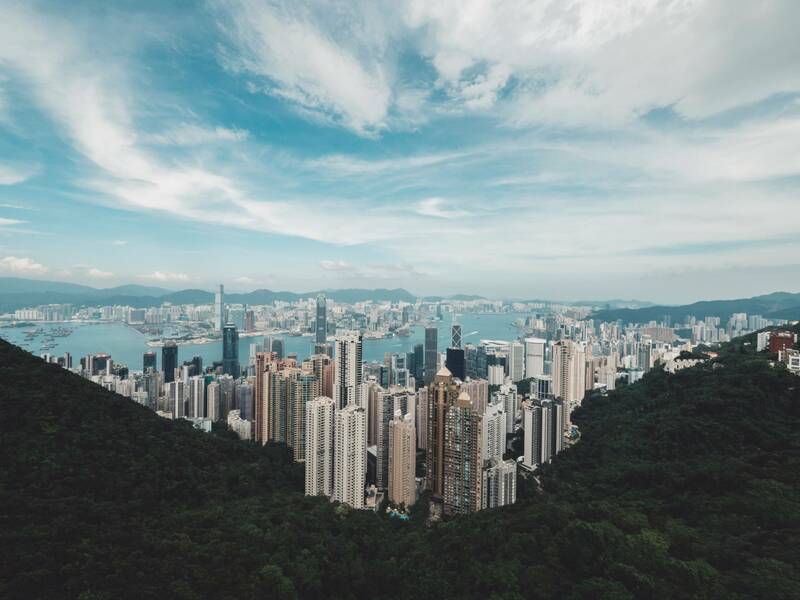 You can start by going up to Victoria Peak, the most visited tourist attraction in the city with an incredible view of the city’s skyscrapers and Victoria Bay. You can take the tram, a 120-year-old funicular railway, but be aware of the long queues. Alternatively, you can grab a cab. When you come down back to Central, you will see Hong Kong Park on your right side. It is a beautiful green spot in the heart of the concrete jungle in Central. You can take a walk to admire exotic Lotus flowers, waterfall, ponds and fountains. A stop for a cup of fragrant Chinese tea at the famous Lock Cha Tea House is a must, you can also try the vegetarian dim sum. While you are having a sip of tea, you can feel this peaceful atmosphere, even though you are surrounded by skyscrapers. Walking down the road out of Hong Kong Park, you will see the Bank of China building. Turn left on Queen’s Rd, where you’ll find the most luxury designer shops, including the Landmark shopping mall, so if you have some extra money to spend, this is the place. Keep walking on Queen’s Rd, and you will find some of the city’s oldest streets, like Pottinger Street (just off Queen’s Rd), a popular film location where they sell costumes and accessories for every occasion such as wigs, masks, fake blood and much more! Well, it’s time for lunch! If you are a food lover, then you are on the right track. Take the half-mile escalator on Queens Rd, the world’s longest covered escalator, that connects Central to Mid-levels. You will find loads of places to eat, from local food, street food to fancy restaurants, Hong Kong can please everyone’s taste! If you have never tried Dim Sum, then Hong Kong is happy to please you with plenty of options for restaurants. Some pretty popular ones are Tim Ho Wan and Lung King Heen, in Central. The latter is the first Chinese Restaurants to have been awarded three Michelin stars! I’d also suggest visiting the recently opened Tai Kwun Centre For Heritage and Art, situated along the escalator, where once was the Central Police Station compound. It is Hong Kong’s new hub for cultural and historical appreciation, where you can also find a large variety of stylish restaurants and bars. After this break, you must be ready to go! Take Hollywood Rd towards Shang Wan, and after 5 min walking you will reach the PMQ, the Former Police Married Quarters, now a center of creative and design industries. You can stop for a coffee/tea in one of the restaurants and bars inside the complex, while you appreciate some of the art and creative stores. 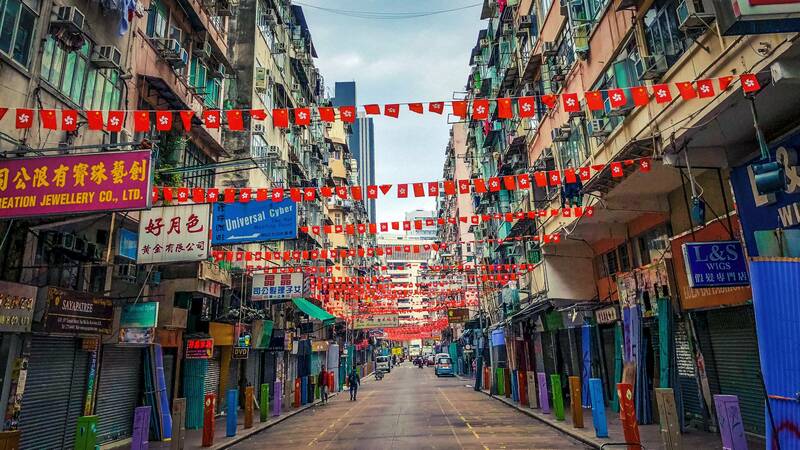 Continue on Hollywood Rd in the same direction, you will find many art galleries and antique stores where you can buy an expensive antique item or just an affordable souvenir. On the same road, there is the historic Man Mo Temple, that is well worth a visit. This Taoist temple was built in 1847. People come here to pay their respects to the gods of literature and war. Inside you can appreciate the sight of spiral incense coils suspended from the ceiling with a heavy scent and smoke. By this time, you must be exhausted, so It’s time to go back to your hotel to chill out and prepare yourself for the nightlife! To start your night I’d suggest catching the Star Ferry, the icon of the city, that in 10 min will take you from Central to Tsim Sha Tsui to watch the Symphony of Lights. It is a free multimedia show that highlights the skyscraper night view. It starts at 8:00pm and last about 10 minutes, the best spot to watch it, is from the promenade of Tsmin Sha Tsui. You can spend some time in the area admiring not only Hong Island panorama, but also the beautiful architecture of the Peninsula Hotel and if you don’t have a limited budget, your best choice is Felix, the Peninsula exclusive restaurant. If you are more of a party animal, then you should definitely go to Lan Kwai Fong, the busiest bar and nightlife district where you can have fun all night long. Another option is to choose one of the many rooftop lounge and bars with breathtaking views of Hong Kong. The next morning, if you’re still alive from the previous night, it’s better to hurry up, if you don’t want to miss your flight, but before, if you still manage to have some time left, Street Markets are a good option to get into the local culture. 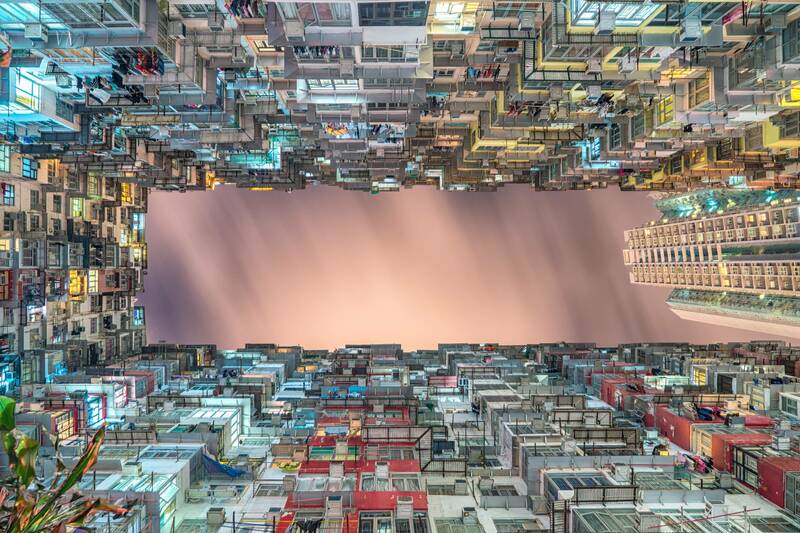 It’s not just a shopping adventure, but an authentic experience to go through the popular neighbourhoods in Hong Kong and understand their way of life. Ladies Market Hong Kong’s most popular street market for all kind of bargains of clothes, toys, souvenirs and accessories. It is located at Tung Choi St, Mong Kok. Goldfish Market Located right next to the Ladies Market, you’ll find shops lined with fish and impressive tanks here. this fascinating stretch of Tung Choi Street features fish of all sizes, colours and shapes arranged in rows of transparent plastic bags. Flower Market Is in the same cross Prince Edward Road, a place to admire lots of exotic plants and flowers that arrive every day from all around the world, with beautiful colours and amazing scents. Bird Market Right next to the Flower Market you will find the Bird Market, on Yuen Po Street. It has a lot of colourful birds of different species. Sham Shui Po Is the place where you will find everything you need for a DIY, but it’s also a famous place for electronics bargains, fabrics, toys and more. Jade St Market Located in Yau Ma Tei, Jade St Market is the place to find any souvenir with the famous and lucky jade stone (maybe not the best quality one). Wet market It’s a great adventure to walk in and browse around the stands, where you will find from many different types of live fish to live frogs, chicken and other animals. There is also an immense variety of fresh fruit and vegetables that come from many different countries. Cat Street Antique Market No cats for sale here, but you will find antiques and replicas of Ming dynasty vases and more. Stanley Market You can visit during the weekends, located on the beautiful southern part of HK, Stanley. I suggest you go during the late afternoon where you can watch a beautiful sunset by the sea. From November to April is the best period to visit HK due to the low humidity, cool temperature and low probability of typhoons. 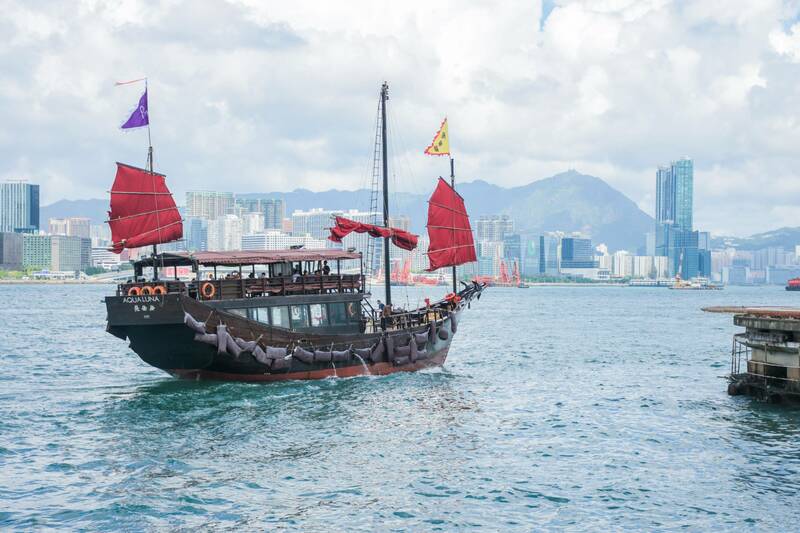 Avoid visiting HK during Chinese New Year (Around February) and Mid Autumn Festival (early October), because they are the most important holidays in China. You’ll find the city even more crowded than usual. May to November is typhoon season, but there’s a highly efficient system for dealing with the tropical storms. I highly recommend the Hong Kong Free tours. Michael, the founder, organizes several daily free tours around HK, where he tells about history, politics, food, HK lifestyle and much more. On the 56th floor of Two IFC, the second tallest building in HK, there’s the Hong Kong Monetary Authority’s Information Center, where you can appreciate the stunning view and its free! 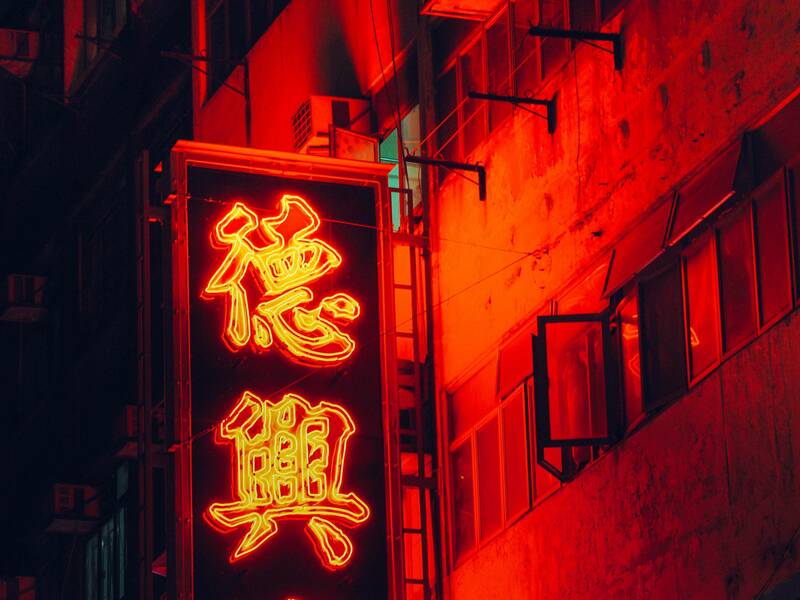 Hong Kong has one of the highest numbers of restaurants or cafes per capita. A true foodie paradise! There are actually 263 islands in Hong Kong. Lantau Island, where is located Chek Lap Kok Airport, is the biggest island and there still many islands totally uninhabited. There are over 8,000 skyscrapers in Hong Kong. Its tallest building, almost half a kilometre high, is the International Commerce Centre or ICC. Number 4 is a bad luck number because four sounds like the word “death” in Chinese. Number 8 instead, is their lucky number because means wealth. So you will find lots of buildings without a 4th or 44th floor. A famous Hong Kong landmark, the bronze Big Buddha located on Lantau Island is one of the world’s largest seated Buddhas and is 34 meters high. 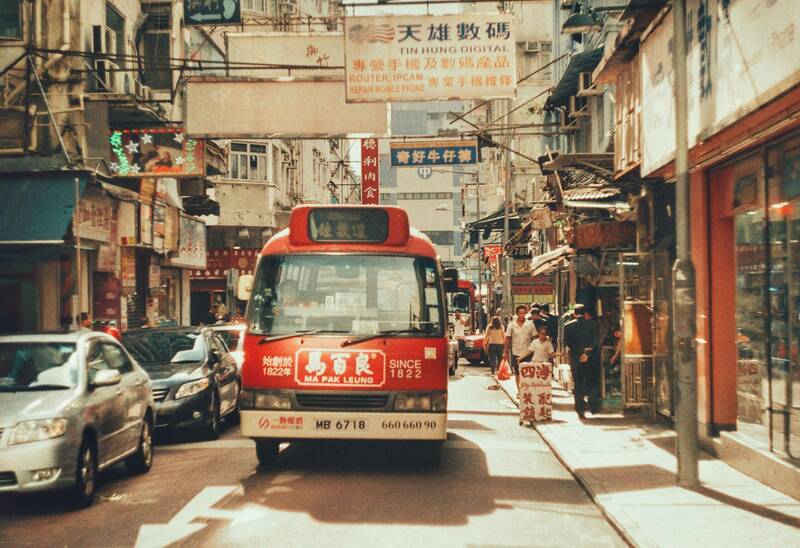 We absolutely love Hong Kong and we suggest you go if you haven’t been there yet! Download the StaffTraveler app to get the seat availability for your non-rev flight to Hong Kong! Want more like this? Like us on Facebook! Whether you are in Sydney for work or on your own time, there are so many things to choose from! Emma takes you on a beautiful walk along the beach. 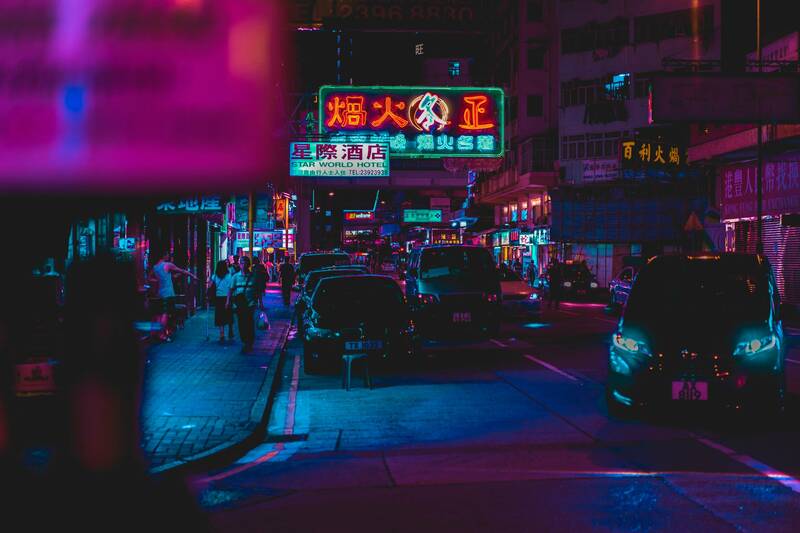 Shanghai like you've never seen it. Enjoy this gorgeous HD hyper lapse of the most populous city in the world. The holidays are upon us, which means that holiday travelers are about to be out and about. Enhance your journeys with these tips from airline crews. So you want to go to the end of the world? StaffTraveler is a platform for airline employees to get the non-rev loads they need. Also, StaffTraveler gets you up to 60% exclusive airline crew discounts on hotel rooms and rental cars.